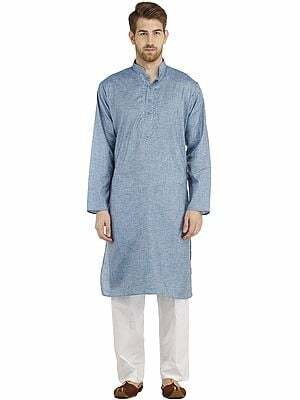 Among India’s ethnic or Western fashions no dress has had such dimensional breadth as had a kurta since its inception almost over two millenniums ago. 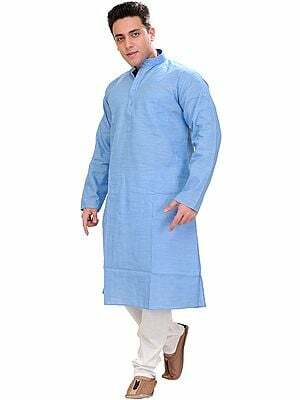 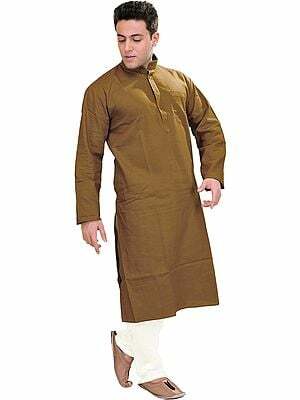 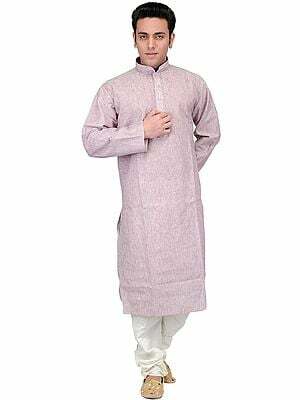 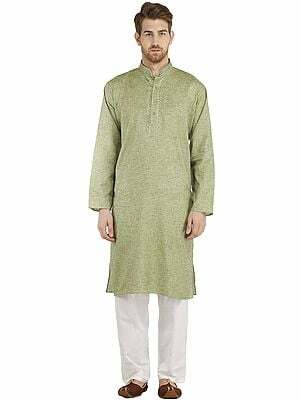 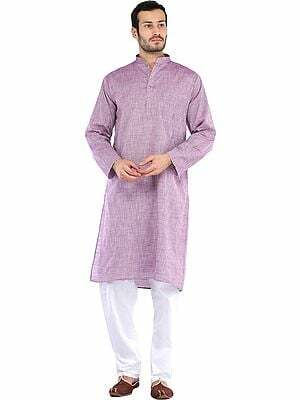 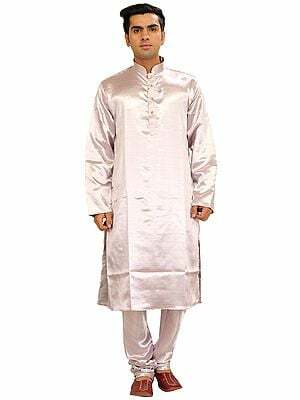 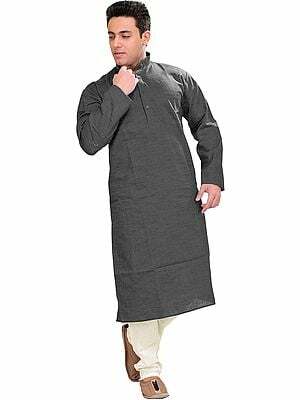 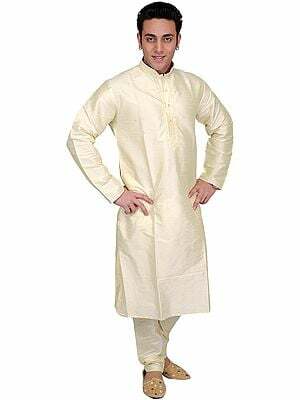 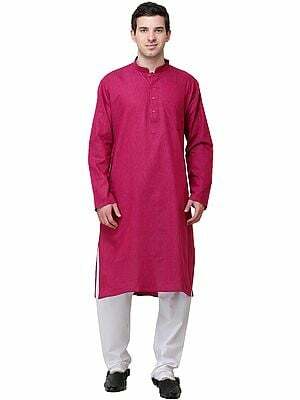 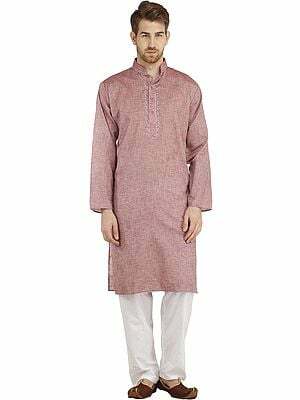 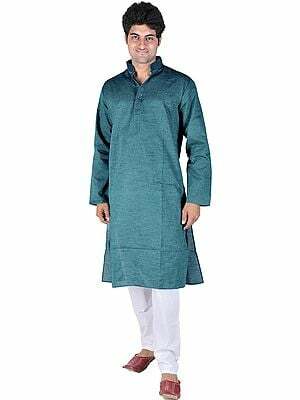 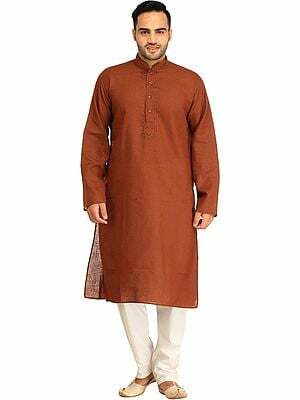 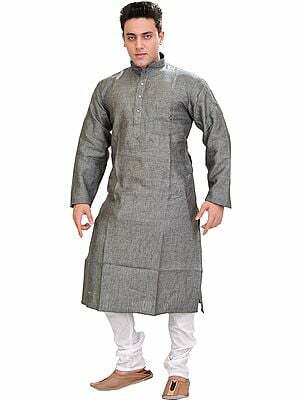 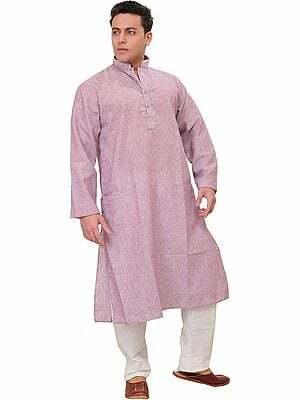 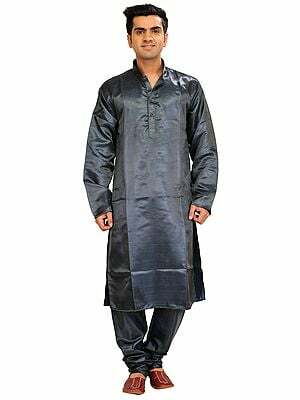 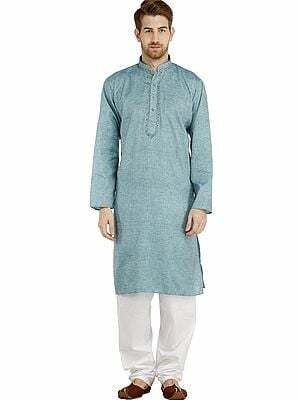 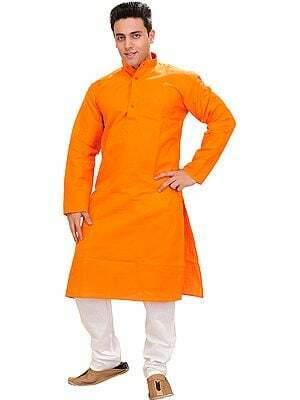 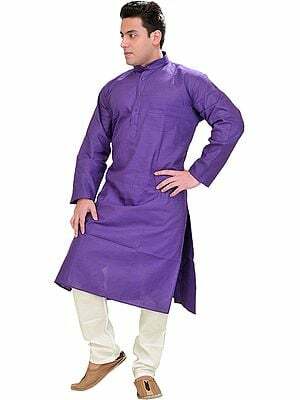 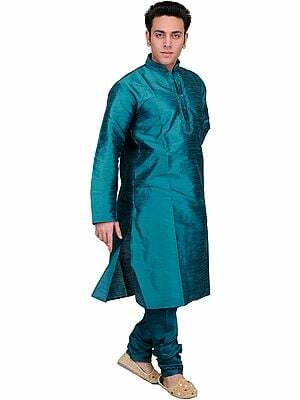 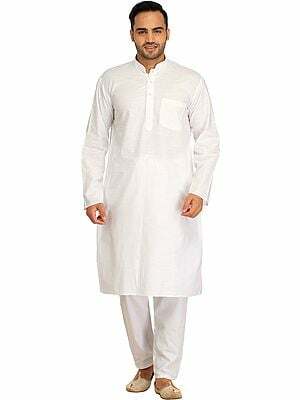 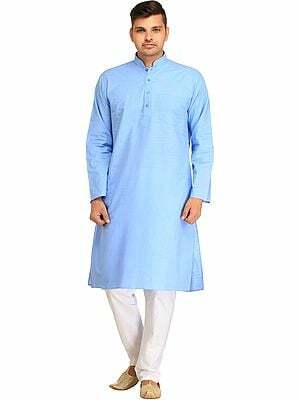 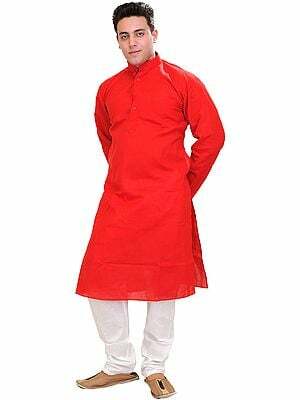 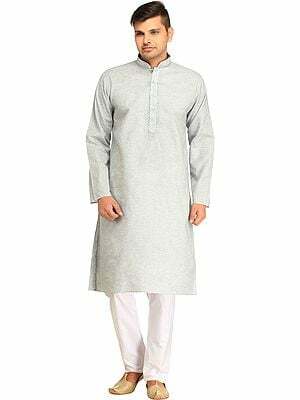 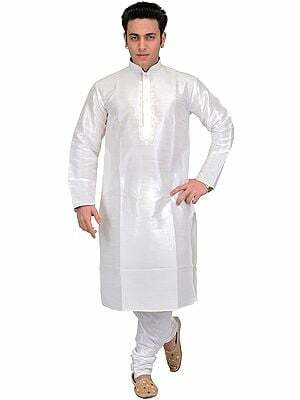 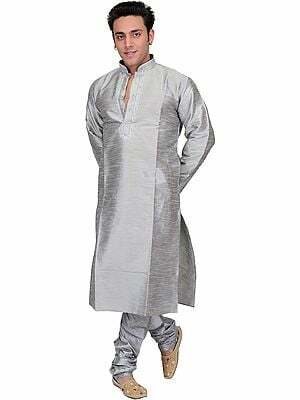 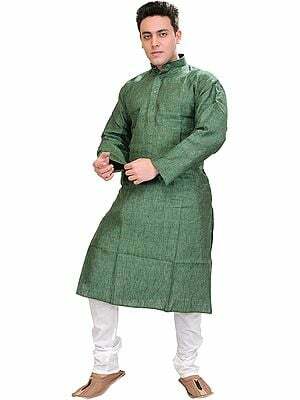 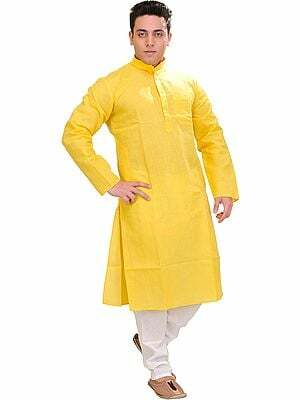 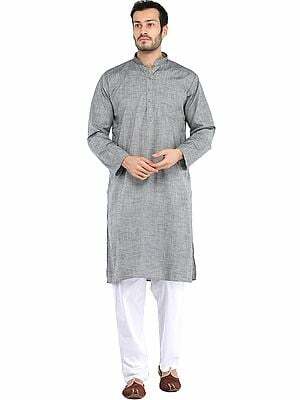 During these years this kurta, in one incarnation or the other, has been one of the main components of man’s ensemble. As suggest early sculptures and Ajanta murals from a short-length kurta of the king’s attendant to a longer one of a female dancer a kurta has been in fashion since early times. 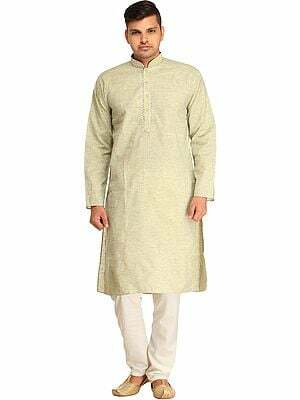 If the fifth century gold coins of Samudra Gupta represent the king in a kurta with sharp angular ends, Ajanta murals represent their dancer in a kurta with far more sharp ends. 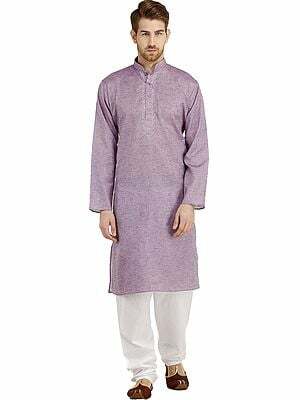 This fashion of a kurta with such sharp ends comes back in the form of Akbar’s sixteenth century chakdar jama, an Akbari form of kurta. 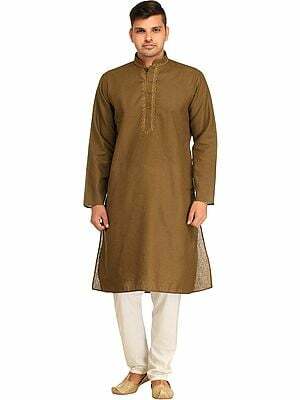 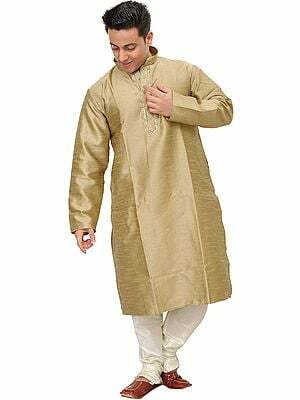 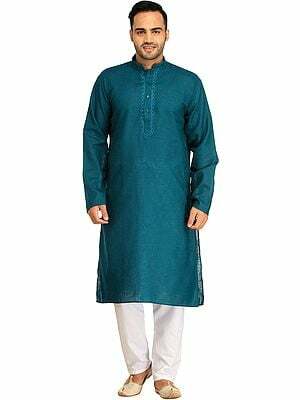 It was in the eighteenth century under the Nawabs of Oudh that the fashions of kurta were further diversified leading it to zenithal heights transforming it into a timeless wear – a form now prevalent with greater thrust. 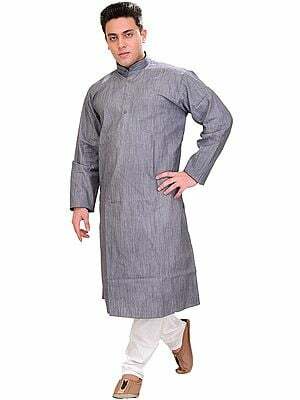 Unlike a tight-fitted piece of ensemble this semi-loose wear has immense scope for ingenuity and innovation. 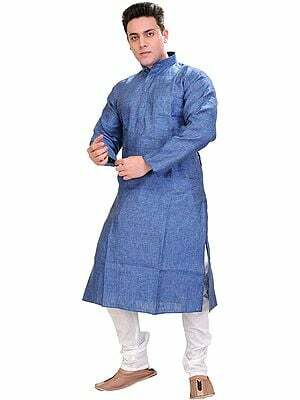 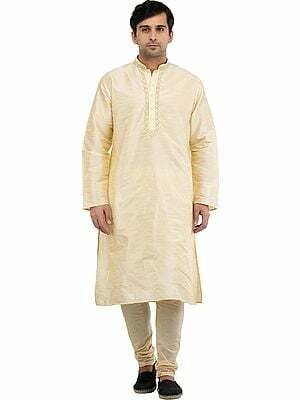 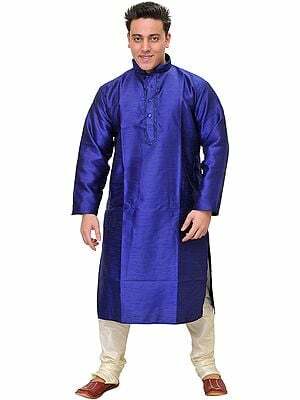 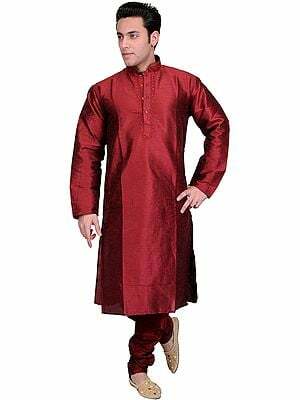 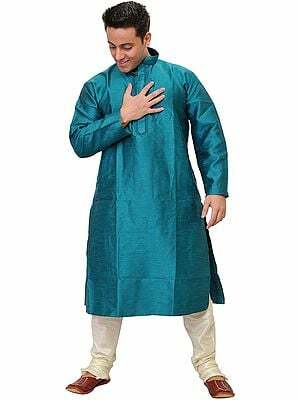 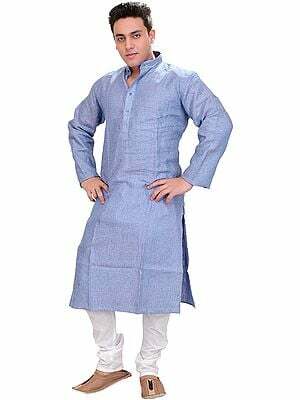 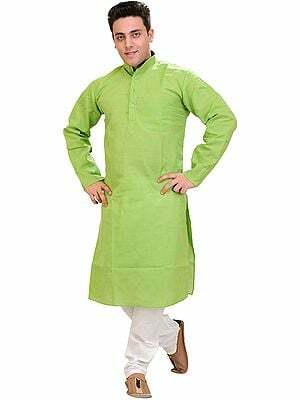 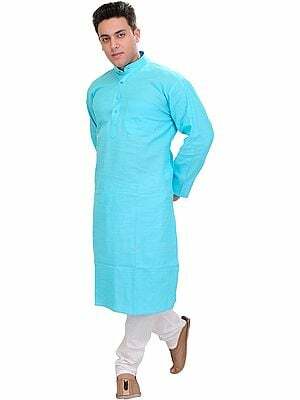 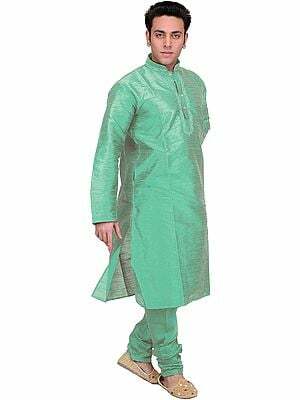 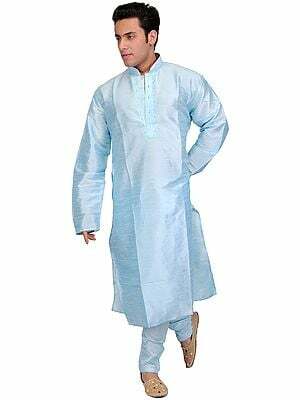 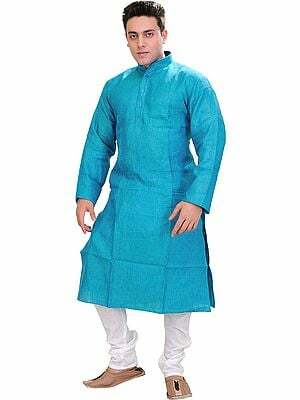 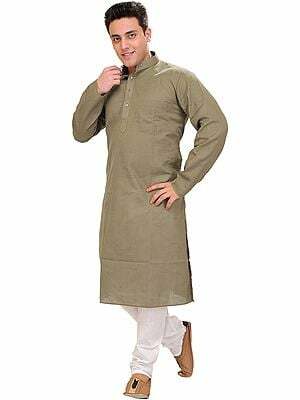 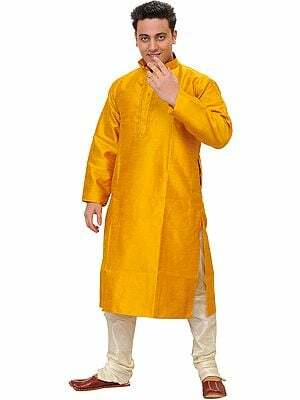 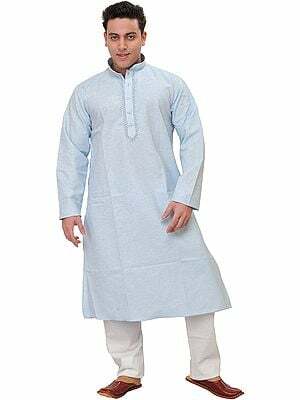 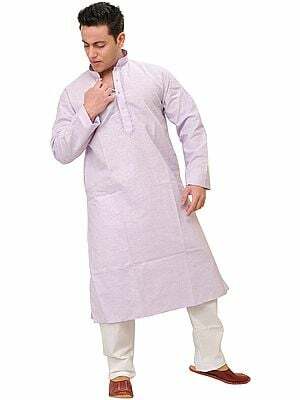 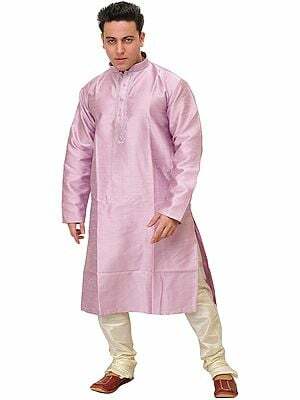 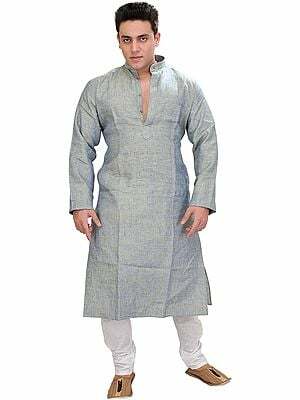 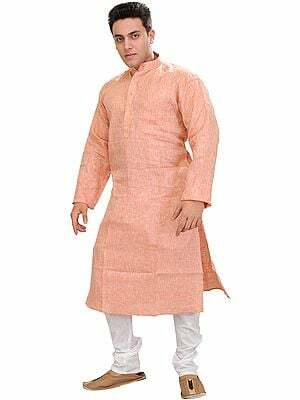 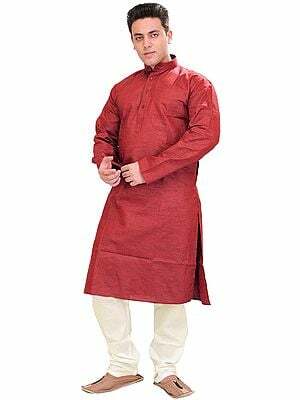 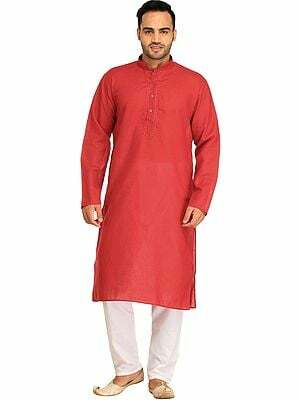 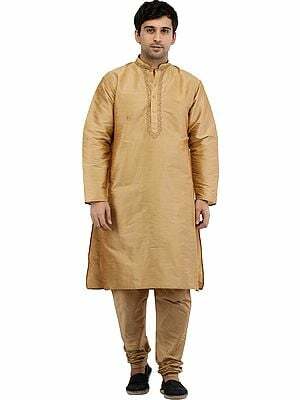 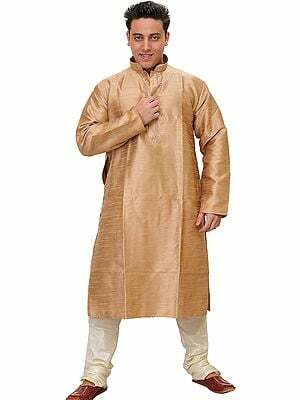 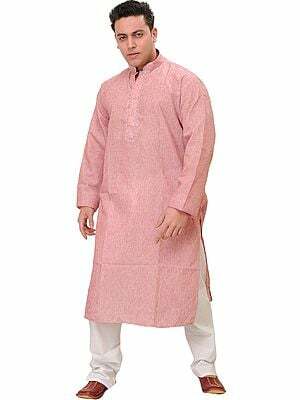 From a tight-fitted piece designed for a wrestler allowing each muscle to project, a kurta might also be designed with a larger breadth to conceal a pot belly and minimize the bulkiness of an awkward figure. 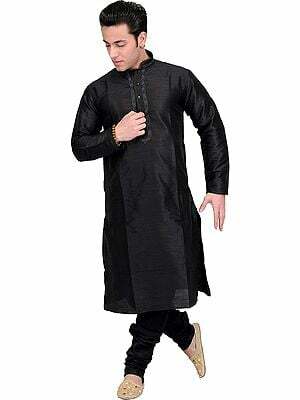 It might be a less expensive footpath trader’s piece, neither too long nor too large and crafted from an ordinary textile length, but also one crafted at an expensive designer’s studio. Similarly, a plain kurta might be designed to breathe the beauty of a highly embellished wear, and vice versa, a highly embellished piece might breathe an air of rare simplicity and elegance. 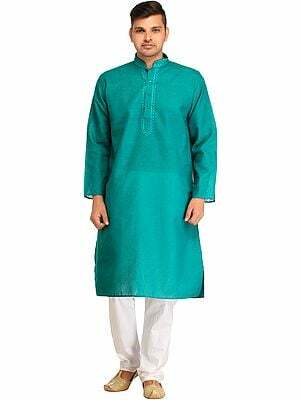 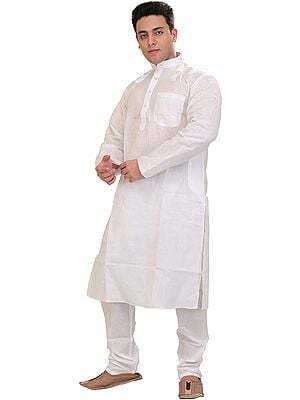 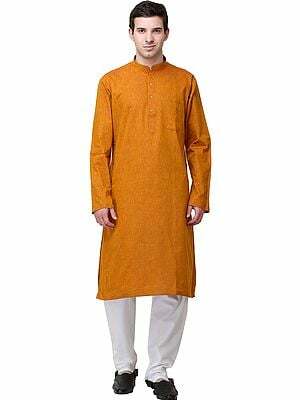 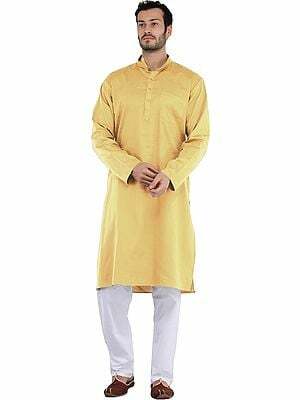 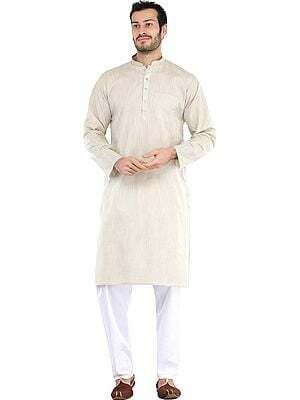 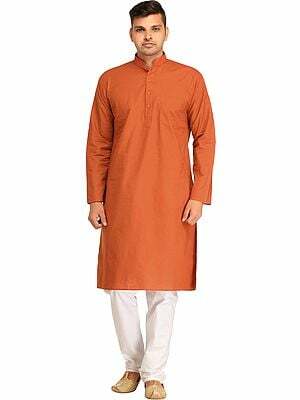 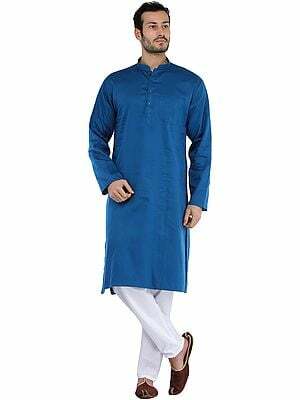 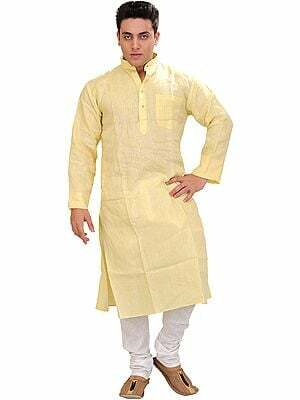 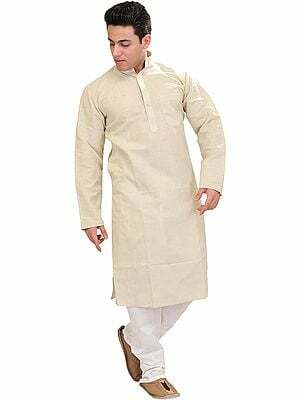 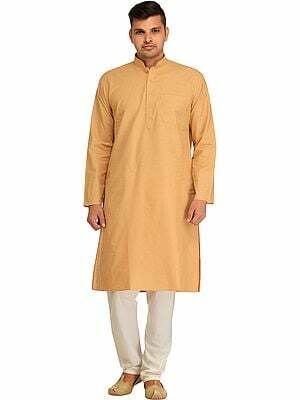 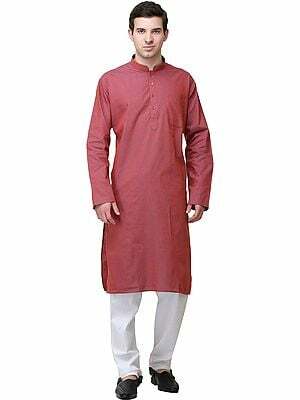 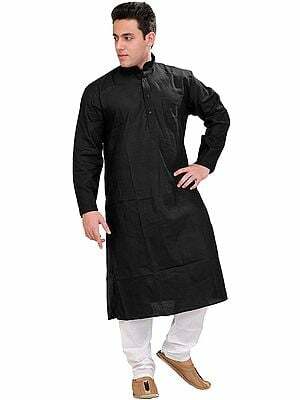 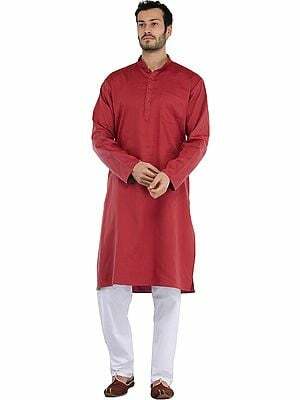 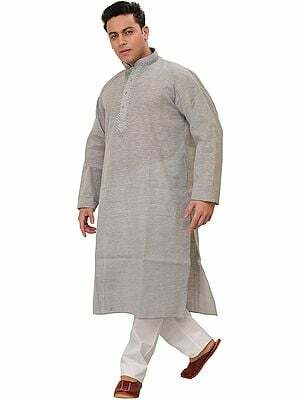 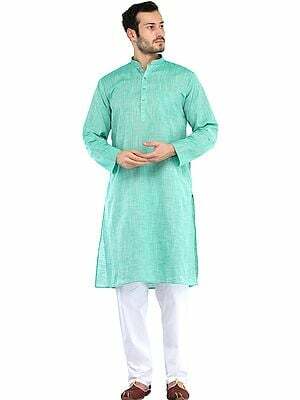 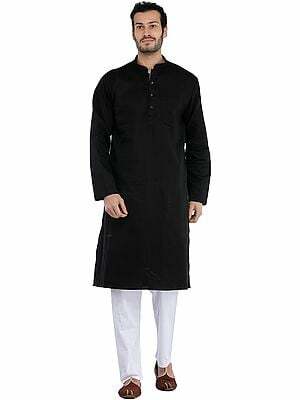 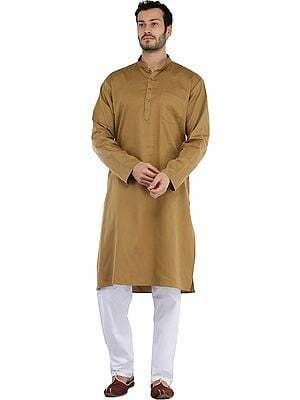 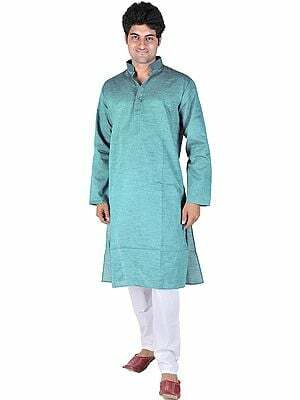 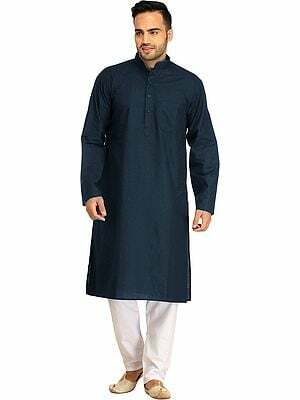 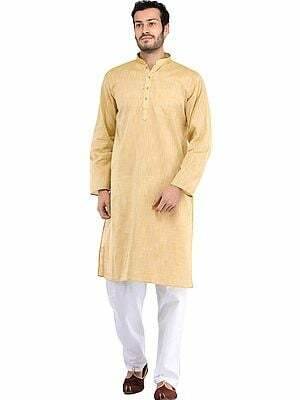 In its form a kurta is endowed with such ability that neither the plainness affects its appearance adversely nor any amount of adornment makes it showy. 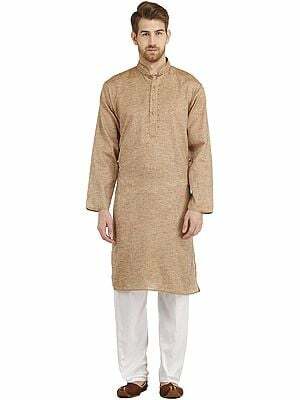 This piece, a plain kurta, has been crafted out of pure cotton length with raw silk like texture which is the primary source of its beauty. 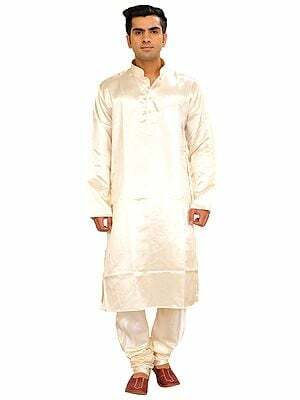 It discovers all its grace, elegance and beauty in its simplicity and rawness. 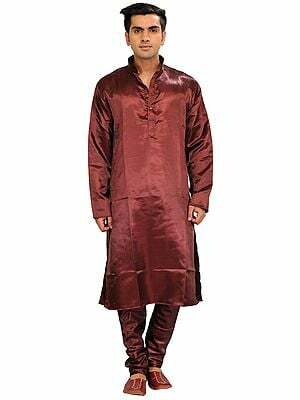 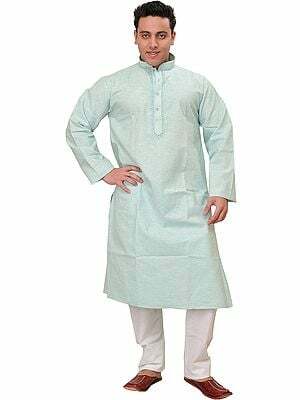 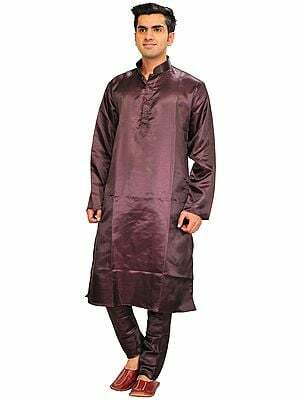 As the raw silk-like texture shall not suit a pajama the designer has chosen for pajama fine mercerized cotton though in such colour-shade that affords to the kurta appropriate contrast.